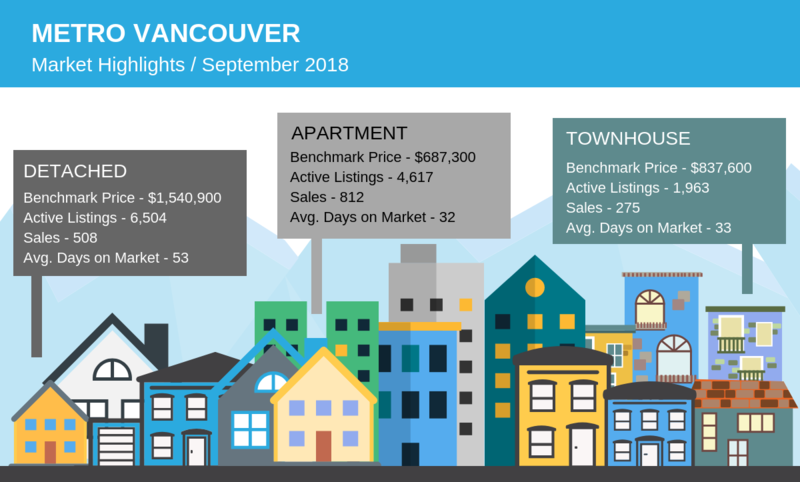 VANCOUVER, BC – October 01, 2018 – The supply of homes for sale continued to increase across the Metro Vancouver* housing market in September while home buyer demand remained below typical levels for this time of year. 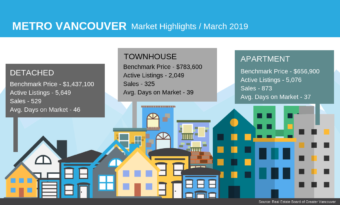 The MLS® Home Price Index composite benchmark price for all residential properties in Metro Vancouver is currently $1,070,600. This represents a 2.2 percent increase over September 2017 and a 3.1 percent decrease over the last three months. Sales of detached properties in September 2018 reached 508, a 40.4 percent decrease from the 852 detached sales recorded in September 2017. 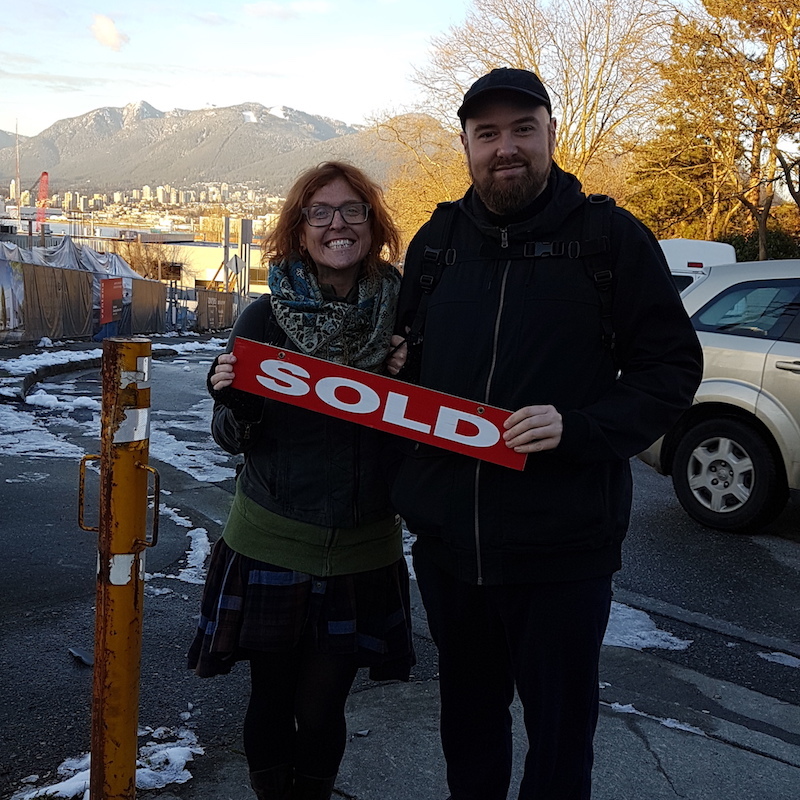 The benchmark price for detached properties is $1,540,900. This represents a 4.5 percent decrease from September 2017 and a 3.4 percent decrease over the last three months. 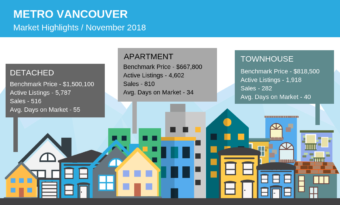 Sales of apartment properties reached 812 in September 2018, a 44 percent decrease compared to the 1,451 sales in September 2017. The benchmark price of an apartment property is $687,300. This represents a 7.4 percent increase from September 2017 and a 3.1 percent decrease over the last three months. Attached property sales in September 2018 totalled 275, a 46.9 percent decrease compared to the 518 sales in September 2017. The benchmark price of an attached unit is $837,600. This represents a 6.4 percent increase from September 2017 and a two percent decrease over the last three months.